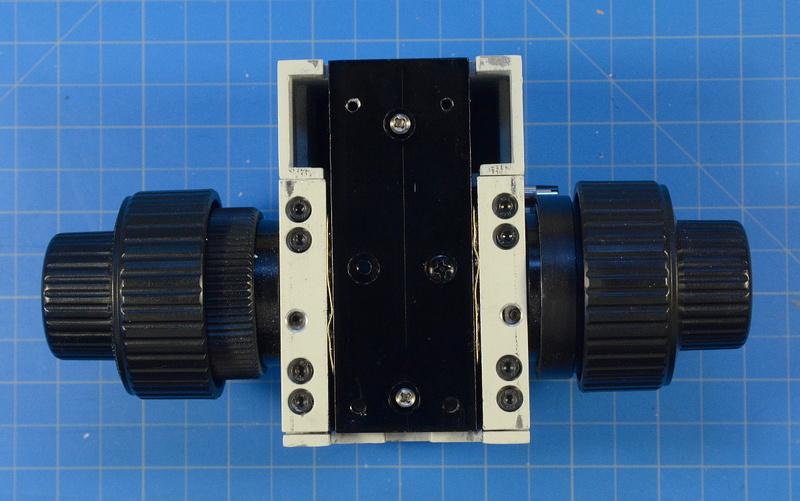 And now, a review of the FYSCOPE STEREO ZOOM MICROSCOPE COARSE AND FINE FOCUS ARM A4 76mm Size! Like most AliExpress technical goods, it was worth the price (cheap for what it is). This is, overall, an Olympus design as expected. The corners that got cut don't look too worrisome, just kind of.... 'huh'. The castings are a little sloppy but not awful. Fit and finish are a tad rough, right down to the fact that the paint was cracked and flaking off in a few places. 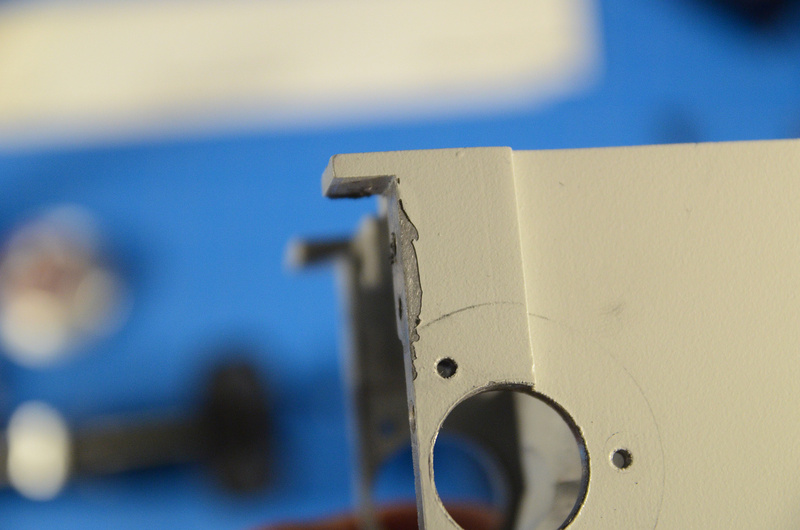 Most finishes don't adhere to un-prepped aluminum that well. Anywhere one part tightens against another, the paint pops off. You can even see it starting in the pics in the AliExpress ad. Ball bearings are used throughout, though none are caged. Only the dovetail bearings are spaced. 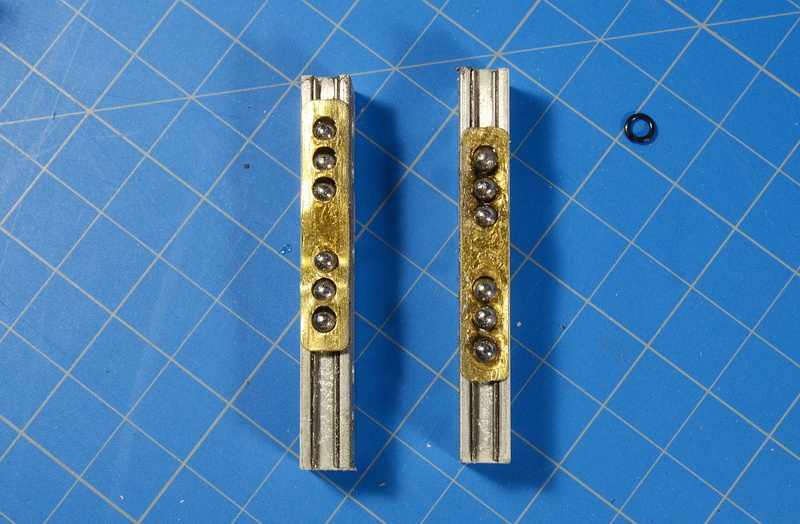 I pulled the coarse-focus shaft and 57 (yes, an odd number!) fell loose out of the races on each end. That was something of a surprise. There are hard stops at both extremes of movement but they don't work. 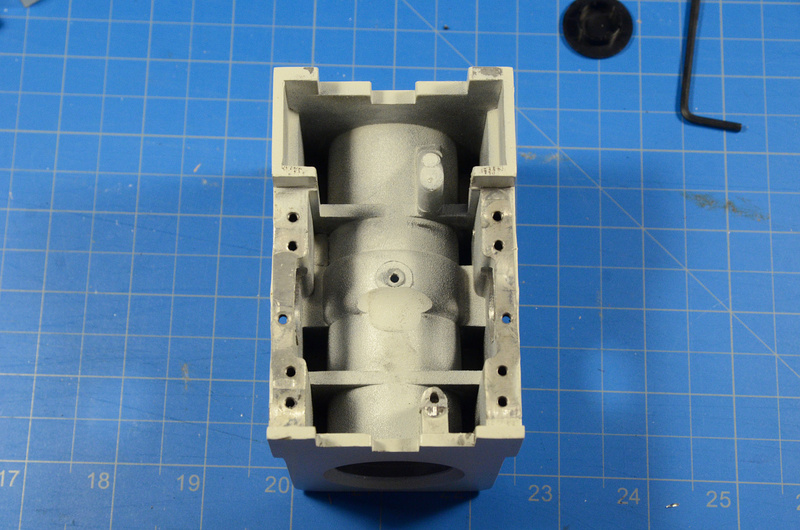 They're there in the casting, and there's a screw there to engage the stops, but the screw misses high. The block continues up or down until the bearings crash into the end of the race, and that's why the thin brass ball-bearing spacers are bent up funny in the pic below. Upon inspection, it's obvious why too short a stop-screw is used: A working length doesn't clear the gearing sleeve! 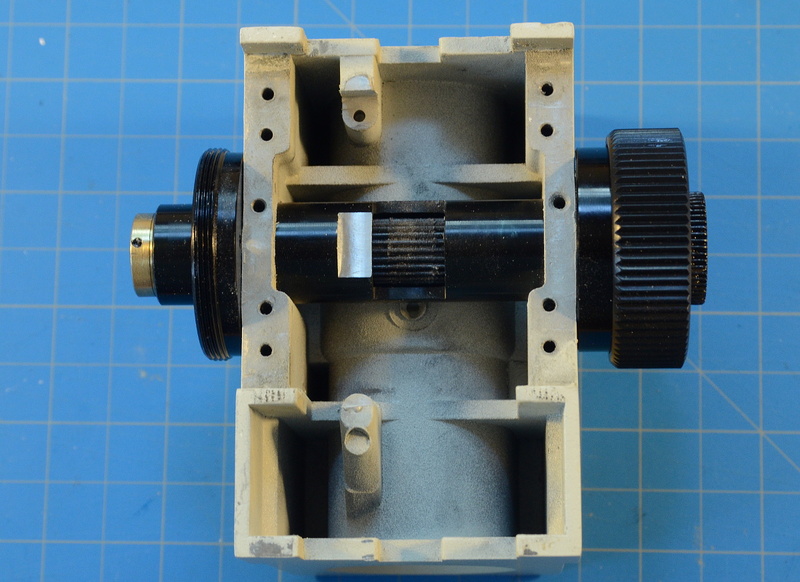 Of course, this is easy to fix with a single cut on the mill and a longer screw. ...so why didn't the manufacturer bother? Or did they not even notice? There were a few other minor things, but enough carping. The flaws look fixable, and I think this can be modded to a good fit. Assuming it can handle the weight, I think we have [what will become] a winner.